There have been modest price gains in many Canadian housing markets over the past year but greater improvement may come from the Canada’s new trade deal with the US and Mexico. In the third quarter, the Royal LePage National House Price Composite which is compiled from proprietary property data in 63 of the nation's largest real estate markets, showed that the price of a home in Canada increased 2.2% year-over-year to $625,499. The largest gain was in the Greater Montreal Area (5.4%) with Greater Vancouver rising 3.9%. But the GTA saw a 0.4% decline. Kingston and Windsor saw the highest appreciation rates in Ontario, rising 14.6 and 14.4 per cent year-over-year, respectively. However, when looking at the quarterly data, the national increase of 1.4% was influenced by a 1.3% rise for the GTA and 0.9% for Greater Montreal while Greater Vancouver prices were flat. "The GTA is emerging from a housing correction that was triggered by a combination of eroding affordability and government intervention," said Royal Le Page president and CEO Phil Soper. "The introduction of the mortgage stress test in particular slowed activity in Toronto's '905', bringing lower prices to the over-heated suburban region. Quarter-over-quarter trends are pointing to the end of this correctional cycle and the beginning of a modest recovery in the region." The Royal Le Page Market Survey Forecast is projecting a further uptick in home price appreciation in the fourth quarter, with a 1.5% increase in the aggregate price of a home in Canada over the next three months. 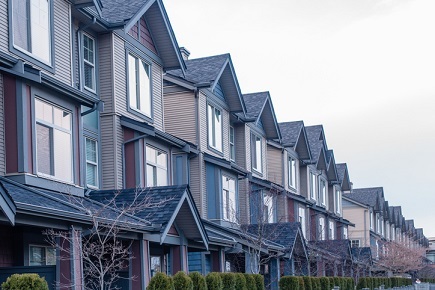 Positive economic fundamentals, supported by a new agreement on trade, should bolster consumer confidence across Canada and stoke demand in the nation's real estate market," said Soper. "Dangerously overheated regions have cooled considerably this year, while home prices have remained remarkably resilient. This is the soft landing that policy makers were hoping for." However, he added that the slower housing market may mean that housing supply issues are not prioritized which could mean a return to soaring prices in some markets in the future. “Job growth is strong, Canada is attracting more of the best and brightest from around the world and the large millennial cohort is putting increasing pressure on our limited new housing stock. It is imperative that all levels of government address looming supply shortages, particularly in affordable housing," Soper urged.